Designed by Alberto Vasquez, who is from Budapest, Hungary, the Daru is constructed from one single piece of corrugated cardboard. 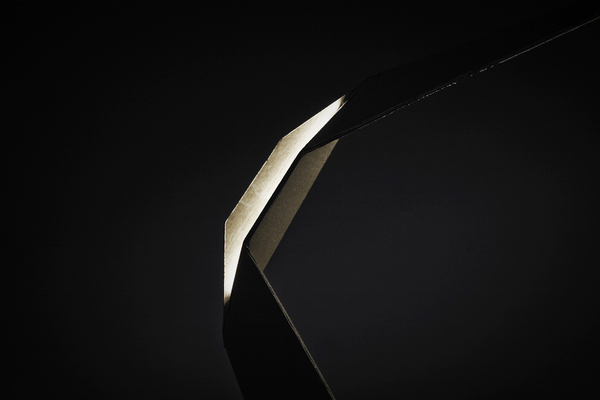 Its form takes inspiration from a blade of grass. 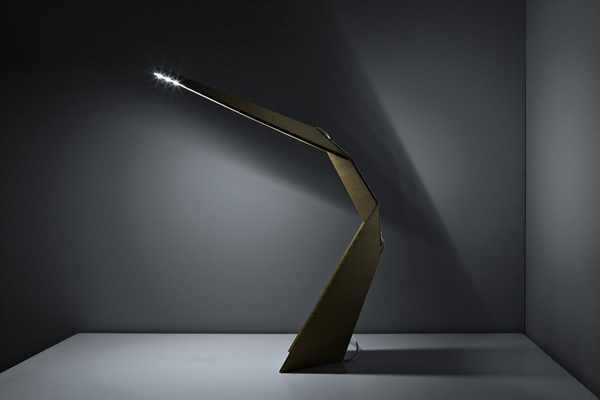 A great thing about the design is the dual lighting – there is both soft ambient lighting and white task lighting. There is the lamp section at the top which uses coldwhite LEDs and provides task lighting at a desk, and then there is also soft lighting at the back of the lamp. 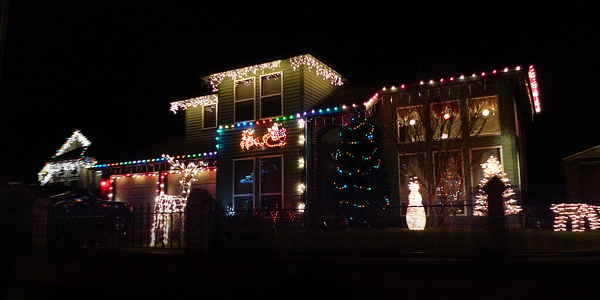 L&L Guide: How Much Does it Cost To Have Christmas Lighting Installed? And Run Them? When trying to figure out how much does it cost to have Christmas lighting installed, a lighting company will take into consideration a number of factors. The number of stories your house has, the amount of lights that are needed, do you have your own lights or will you be renting theirs, and will you be needing the company take down the lights. There are a number of reasons why someone will hire a company to have Christmas lights installed. There is the risk of climbing around and house, walking on the roof, all the while installing lights – it’s not an easy task. Most Christmas lighting installation companies will come by your house, see the type of house you have, and hear how much lighting you want. 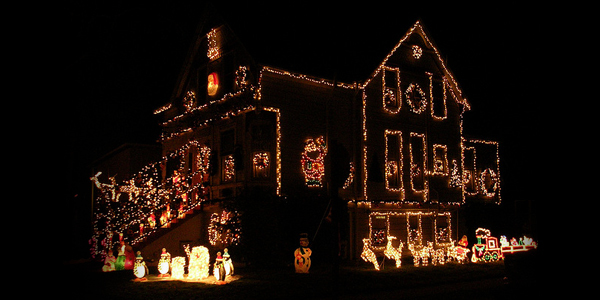 Companies will recommended how many lights you need to cover your house for the look you want. Some companies do not rent out lights, so they will recommend what you need to buy. Prices for lights range from $10 to $100-$200 for fancy ones. Companies will have a minimum charge – then charge per foot for installing the lights. Minimum charges will range from $75 to $250. The lower end is for 1 story houses, while 2 story houses cost more. After that, the installation cost per foot is about $1-2 per foot for the first floor of a house, and $2-3 for the second floor, while landscape lighting will be around $1. Taking the lights down will cost around half of what it cost to put them up. Tip: If other houses on your street are also hiring a company to install their Christmas lights, you might want to make sure your house doesn’t end up looking the same as everyone else’s. Either use a different company, or make it clear to the lighting company that you want something different. Most houses will pay an extra $4-7 for electricity for that month – this is for running the lights for 3-5 hours a day. There are a number of design principles to keep in mind when looking for great apartment lighting ideas. Look to layer the lighting in a room and create different lighting effects, focus the lights to areas specific to the room, and go for a cozy or grand lighting design scheme. The best lighting designs, which makes any room look great, uses different lighting fixtures. This avoids a monotone look – which would happen if you were to just use ceiling lights for example. Instead mix it up with ceiling lights, floor lamps, table lamps, wall lights, pendant lights, indirect lighting, mood lighting, etc. – as this will create different lighting effects, and layer the lighting in the room. Lighting is used to bring focus to specific areas in a room. For example, in the bedroom bed side table lamps brings the focus of the room to the bed. In the living room, you can have back lighting behind the TV or couch. In the kitchen, under cabinet lighting adds a nice feel to the area. 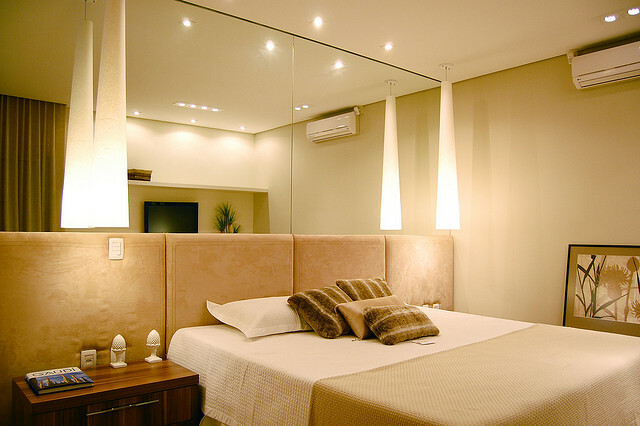 If you want to create a cozy environment in your apartment then avoid using the ceiling lights. Use floor lamps and table lamps – keeping the lighting as low down as possible. On the other hand, if you want to create a grand setting in the apartment, then light up all walls and the ceiling, which will make the space feel larger. Cove lighting is a great way to make a space feel larger and grand – L&L Design Guide: Cove Lighting Ideas. 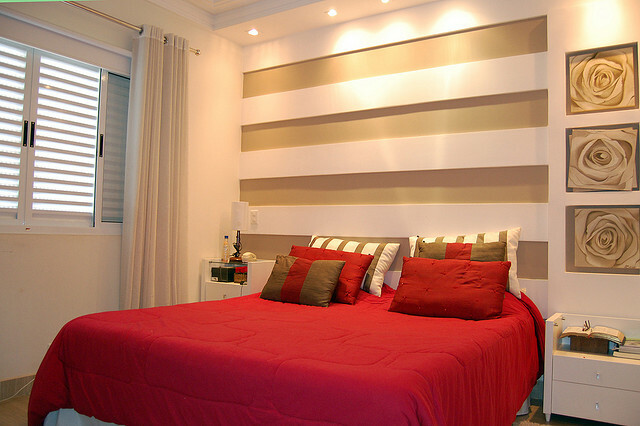 Most modern apartments will have recessed lighting. They use a false ceiling to hide all the parts of the lights, creating a clean look in the room. If you want to change this up, say to create a more intimate and cozy feeling in the room, then check out pendant light adapters. These adapters screw into standard ceiling light sockets, and let you have pendant lights without having to do any electrical work. Another option is to install dimmer switches so you have full control of the lighting. Or there are now LED light bulbs that come with remote controls so you can dim them, or even change the color of the light. 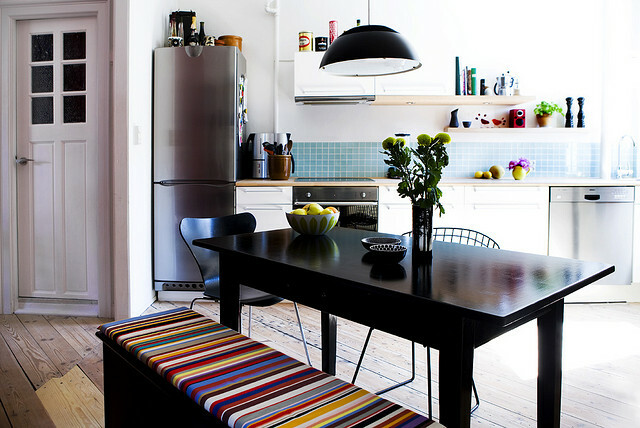 This is a great way of adding splashes of color to a room. If you want to brighten up a room, use green or yellow light. While dark purple or blues can make the room feel romantic for the night. Other mood lighting ideas (L&L Design Guide: Home Mood Lighting Ideas) include stand alone units like the Yantouch Jellyfish (Modern Lighting: The iPad Meets A Jellyfish) or the Philips Mood Lighting Collection (Color Your Rooms With The Philips Mood Light Collection). Want to get high tech? Then check out the AudioBulb (L&L Lights and Music: The AudioBulb Sound System). This light bulb will screw into any standard ceiling light socket. You will then get LED lights as well as easy to set up wireless speakers – all of which can be controlled via a remote control. There are a number of stairwell lighting ideas to choose from. Some are simple, like attaching battery operated motion sensor lights to the wall, or using pendant light adapters to modify your ceiling lights. Other ideas require some work – like installing lights into the side wall of the stairs, or fitting lights to the underside of the stair lip. One idea and the most elegant solution for stairwell lighting is to do under lip lighting. This is when you install lights right under the lip of the stairs. This can be done with LED rope lights or with more innovative lights like LightTape. A second option would be to install lights recessed into the side wall of the staircase. The best way to do this is to have them professionally fitted and wired up. A simpler and faster option would be to use battery operated motion sensor lights that can be cheaply picked up from Amazon for around $10-$30. Simply stick them to the side walls of the stairs (Conserving Energy with Wireless Motion Sensor Lights and Adapters). Another way to add stair lighting is to take a look at the overhead lighting. Recessed lights are a modern lighting solution, and this would be good idea if you have low hanging ceilings. For high ceilings, pendant lights would be a better choice as these lights bring the light closer to the ground. 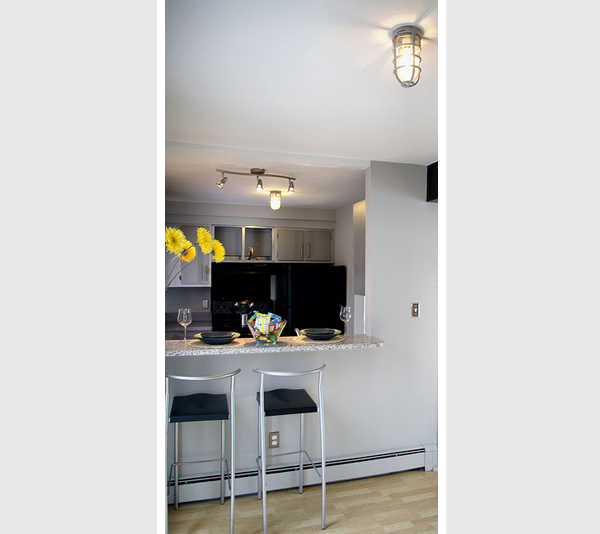 You can easily convert normal ceiling light outlets into pendant lights by using pendant light adapters. Having lights installed into the front facing, vertical part of the step is ideal for outdoor stairs, but is not visually appealing lighting design for indoor stairs. Also look to avoid the runway effect. This is when you place lights on both sides of the staircase, at the same levels. The way to avoid this is to alternate the steps where the lights will be. For staircases you only really a wall light for every 3 of so steps. The best way to light a stairwell, or any part of the home, is to use a variety of light fixtures (ie. stairwell lip lighting and overhead pendant lights). This creates more lighting layers, and avoids a monotone look that you would get from using just one type of light. If you are a looking for more advance lighting options or are planning a major remodeling of your home, take a look at these two stairwell lighting ideas. First we have the side lights: lights are fitted into a small gap between the wall and the stairs, which provides soft indirect lighting (and also makes the staircase look like it is floating). For those DIYers out there with some electronics skills, there are tutorials online on how to build motion sensor stairwell lighting. The lights will turn on as you approach the top or bottom of the stairs. In the video below you can see how the lights of each stairs light up gradually one by one. You can find a tutorial for this here. 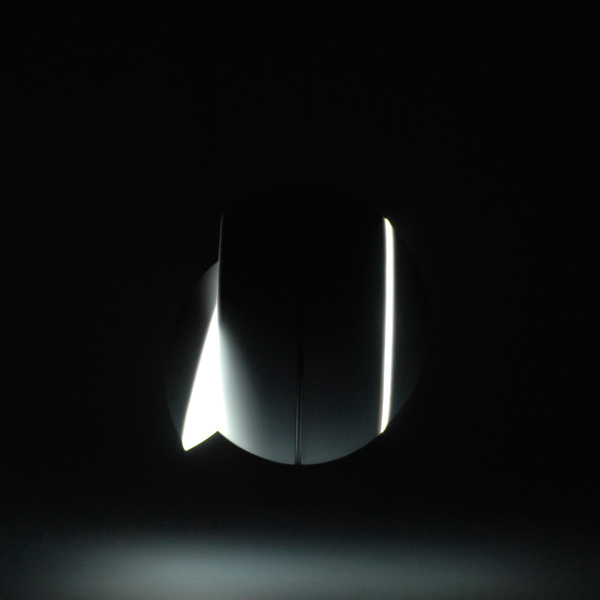 Peter Toronyi took inspiration from solar eclipses to create the elegant Nissyoku lamp. 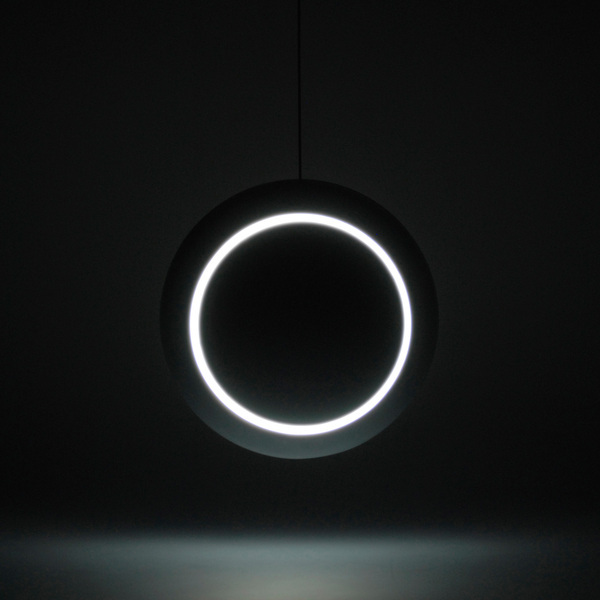 The form is simple and sleek, and how you control the light is magical. 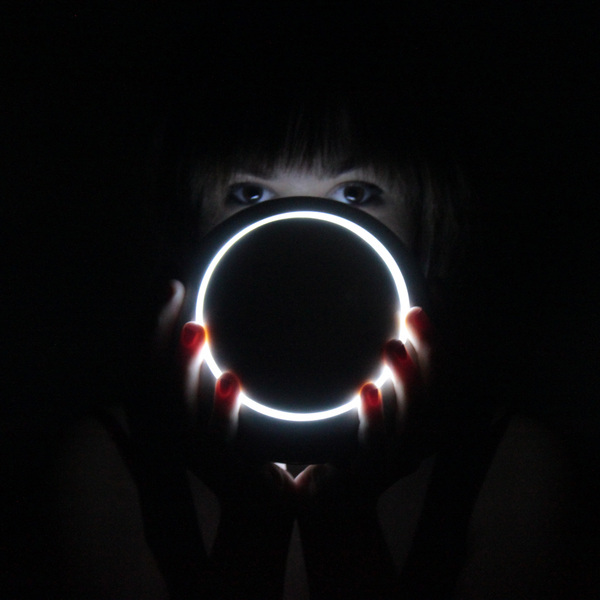 The Nissyoku is meant to be used as a mood light. The lens panels on each side can be adjusted, to angle the light in the direction you want. Even the brightness can be adjusted by the way you angle the panels. The magic behind all of this is created by the magnets that hold the panels to the center piece. Each panel holds an LED light. These LED lights are powered by hybrid supercapacitors batteries. Turning the lamp on and off is done through the touch sensitive metal ring. 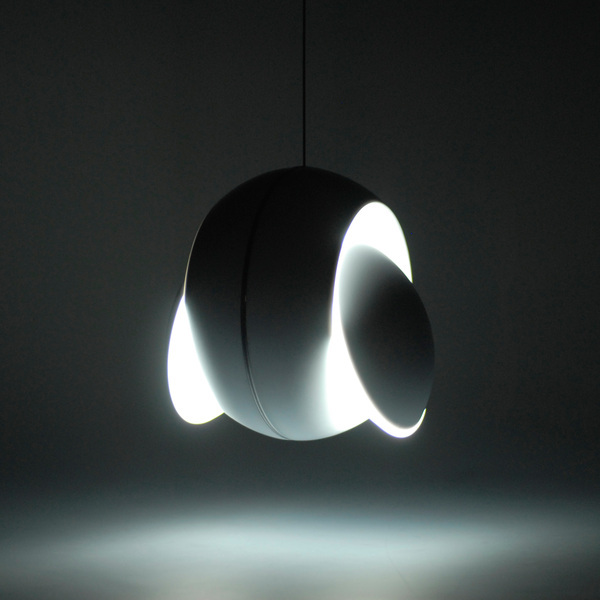 It can be used as a pendant, wall or table lamp. Available – Christmas 2012.